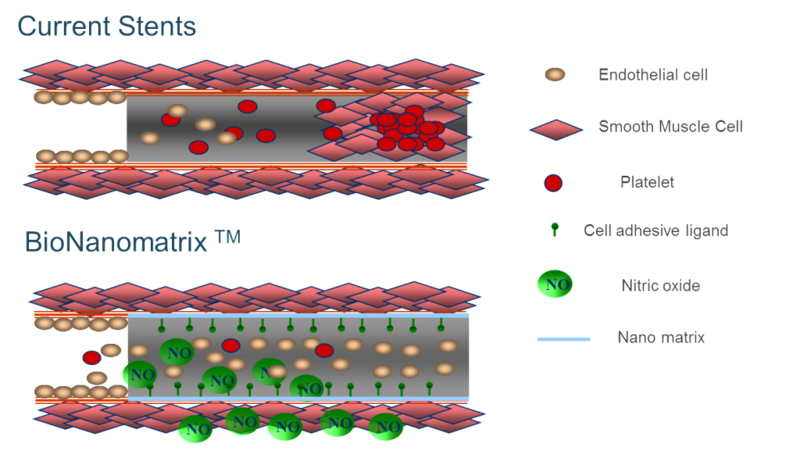 A reservoir for sustained release of nitric oxide, which stimulates healthy normal endothelial cell coverage while limiting smooth muscle cell proliferation and platelet adhesion. The sustained release of nitric oxide promotes normal healthy vasodilation. An endothelial cell adhesive molecule, which promotes retention of endothelial cells.